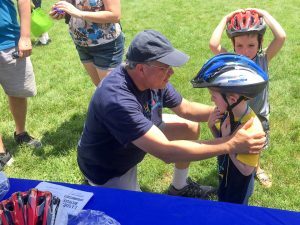 Attorney David W. White and the Westborough Bicycle and Pedestrian Advisory Commission donated bike helmets to kids at Westborough Spring Festival on June 10th. Helmets were donated by Breakstone, White & Gluck’s Project KidSafe campaign. Summer is here and Breakstone, White & Gluck wants to remind children and families to wear your bicycle helmets. Helmets are the most effective way to protect yourself from bicycle-related head injuries. Helmet use reduces the chance for head and brain injuries by up to 88 percent, according to the Centers for Disease Control and Prevention (CDC). Please wear your helmet every time you ride – and make sure family members do the same. Through our Project KidSafe campaign, Breakstone, White & Gluck recently donated children’s bicycle helmets at several community events. Children had the opportunity to receive a new helmet and have it fitted by an experienced cyclist or volunteer. Westborough Bicycle and Pedestrian Advisory Commission. Attorney David W. White joined the Westborough Bicycle and Pedestrian Advisory Commission at Spring Festival on June 10. 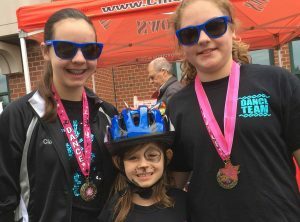 Breakstone, White & Gluck donated nearly 200 bicycle helmets in Westborough this year, at the Westborough Spring Festival and the Healthy Kids Day at the Boroughs Family Branch of the YMCA of Central Massachusetts (which was held in April). This is the fourth year we have partnered with the Westborough Bicycle and Pedestrian Advisory Commission on these donations. The Westborough Bicycle and Pedestrian Advisory Commission was appointed by the Board of Selectmen five years ago. Since then, the commission has actively worked to make Westborough safer for bicyclists and pedestrians. Over the past few years, they have advocated for crosswalk and rotary improvements. This year, construction began on the new Westborough multi-use path. 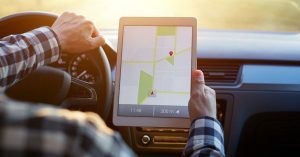 The first phase is 1/3 mile and will connect the Westborough Shopping Center to the east side of town. Great work to the commission! This path is sure to make cycling safer in Westborough. 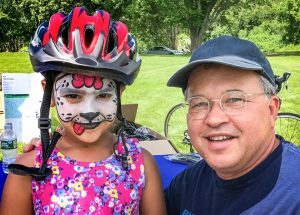 Photo courtesy of Medford Bikes, which distributed 70 bike helmets to children at Medford Day on June 4, 2017. Breakstone, White & Gluck donated the bike helmets through our Project KidSafe campaign. Medford Day. 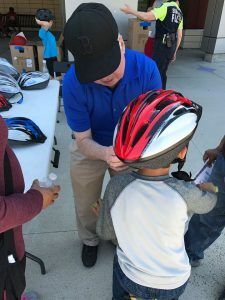 On June 4, the Medford Bicycle Advisory Commission gave away 70 helmets to children and teens at Medford Day at Andrews Middle School. This was our first time partnering with the commission. It was a home run. Members did a great job and are enthusiastic about teaching children and parents about bike helmet use. “A helmet is one of the most important pieces of bike safety equipment you can wear, but if it doesn’t fit right, it’s not going to do what it’s designed to do when you most need it—which is protect your head from serious injury after a crash,” said Patrick Bibbins, chair of the Medford Bicycle Advisory Commission. Photo courtesy of The Kiwanis Club of Somerville Facebook page. Bike Safety Day was held on June 10, 2017. Breakstone, White & Gluck was pleased to donate helmets for the kids. Kiwanis Club of Somerville. 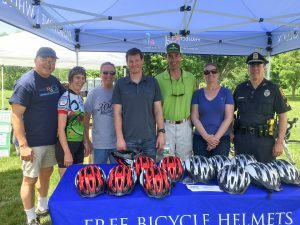 For the past five years, Breakstone, White & Gluck has been pleased to donate bicycle helmets to the Kiwanis Club of Somerville and its annual Bike Safety Day. This is always a fun event which teaches kids fundamental bicycle safety skills in their own community. This year’s event was held on June 10th at East Somerville Community School. Breakstone, White & Gluck donated 120 helmets for the kids. In addition to the Kiwanis Club of Somerville and Breakstone, White & Gluck, the event received donations and support from Belmont Wheelworks, Shift Community Bicycle Collective, the Greater Boston Young Professional Kiwanis, the Somerville High School Athletics and the staff at the East Somerville Community School. View the Facebook photo album.